Empowering Adults with intellectual and developmental disabilities to define and live a meaningful life. Welcome to Hi-Hope Service Center! Hi-Hope Service Center is a 58 year old nonprofit located in Lawrenceville, Georgia, in the heart of Gwinnett County, just outside of Atlanta. We are a 501(c)(3) nonprofit governed by a volunteer board of directors. 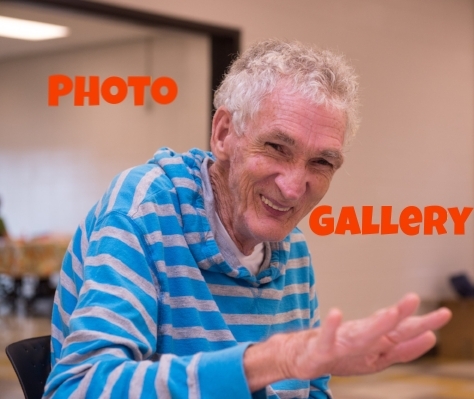 Hi-Hope Service Center provides quality services that empower adults with intellectual and developmental disabilities to define and live a meaningful life. All people are naturally included as essential contributors to every vibrant community. People First. Hi-Hope believes that all people are defined by their own strengths, abilities and inherent value, not by their characteristics (including disability). In our interactions, both internally and externally, we treat everyone with honesty, dignity, respect and assume the best of others. Equity. Hi-Hope believes that people with intellectual and developmental disabilities are entitled to the respect, dignity, equality, safety and security accorded to other members of society and are equal before the law. Community. Hi-Hope believes that people with intellectual and developmental disabilities belong in the community and have fundamental moral, civil and constitutional rights to be fully included and actively participate in all aspects of society. Diversity. Hi-Hope believes that society in general and Hi-Hope in particular benefit from the contributions of people with diverse personal characteristics (including but not limited to race, ethnicity, religion, age, geographic location, sexual orientation, gender and type of disability). Collaboration. Hi-Hope values and promotes effective partnerships between individuals, families, organizations, its Board of Directors and staff at all levels of the organization. Integrity. Hi-Hope acts with transparency, accountability, and open, honest and timely communication. Hi-Hope is committed to quality in all it does. Innovation. Hi-Hope knows that meaningful change in the quality of life for the individuals with intellectual and developmental disabilities comes from bold, creative programs and services. Success and failure go hand in hand and we are willing to accept both on our path toward our Vision. Continuous Learning. Hi-Hope values action and taking calculated risks that serve to advance the mission of the organization. Hi-Hope invests in its staff and builds internal capacity for future innovation. After 57 years of service, Hi-Hope has a story to tell. We have grown up with Gwinnett County. We have worked with many people. We have learned many lessons. We have touched many hearts. Learn more about how you can make a difference in the life of someone with a developmental disability. Whether it be through a simple donation or one of our many volunteer opportunities, every bit helps.